A beautifully refurbished, two bedroom, semi detached cottage situated a short flat walk from the town centre and offered chain free. Walk through the central front door and we believe the quality will speak for itself. Bought initially as a complete project by the current owners at the beginning of 2012, this cosy property was intended to be their forever home, everything they've ever done has been finished to the highest of standards with no expense spared. Completely changing the layout and starting from scratch, the property was essentially stripped back to the bare walls, the windows, plumbing, electrics and insulation have all been changed, replaced and installed making this cottage a practical choice for buyers. The ground floor accommodation now comprises of a large open plan lounge/dining room, superb for entertaining your guests with a well thought out kitchen in the extension. On the first floor you have two bedrooms, one double and one generous single, the master double bedroom features it's own walk-in dressing area, in addition there's a stunning four piece bathroom serving both of the rooms that features a freestanding claw bath with an exposed brick wall behind. Outside the small enclosed garden to the rear of the home is low maintenance and has had its potential maximised by the original out buildings being re-built, they currently serve as a laundry room and separate mini workshop, there's still plenty enough room on the decking area within the courtyard for table and chairs. 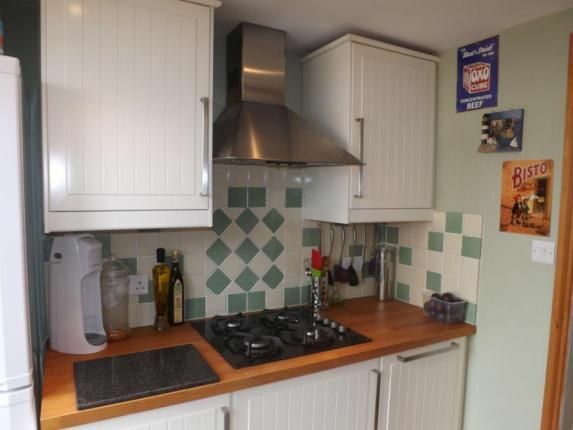 This is in our opinion a lovely home, in excellent condition, perhaps suitable for a professional couple or someone looking for a trouble free downsize, walking distance from the town. The central location of this home on the Island makes it the perfect place to discover all the Isle of Wight has to offer, including fantastic beaches and unspoilt countryside, perfect for walking or cycling. Spend the day exploring the famous Needles, Alum Bay and Blackgang Chine, all within a short drive. Lounge Area14'2" x 8'3" (4.32m x 2.51m). Dining Area17'9" x 8'5" (5.4m x 2.57m). Kitchen8'8" x 7'3" (2.64m x 2.2m). Master Bedroom11'3" x 9' (3.43m x 2.74m). Bedroom Two9'7" x 6'11" (2.92m x 2.1m). Laundry8'5" x 3'9" (2.57m x 1.14m). Mini Workshop6'4" x 3'9" (1.93m x 1.14m).